> First Steps>Sneakers>Cotton canvas Bamba type shoes with elastic band and toe cap. 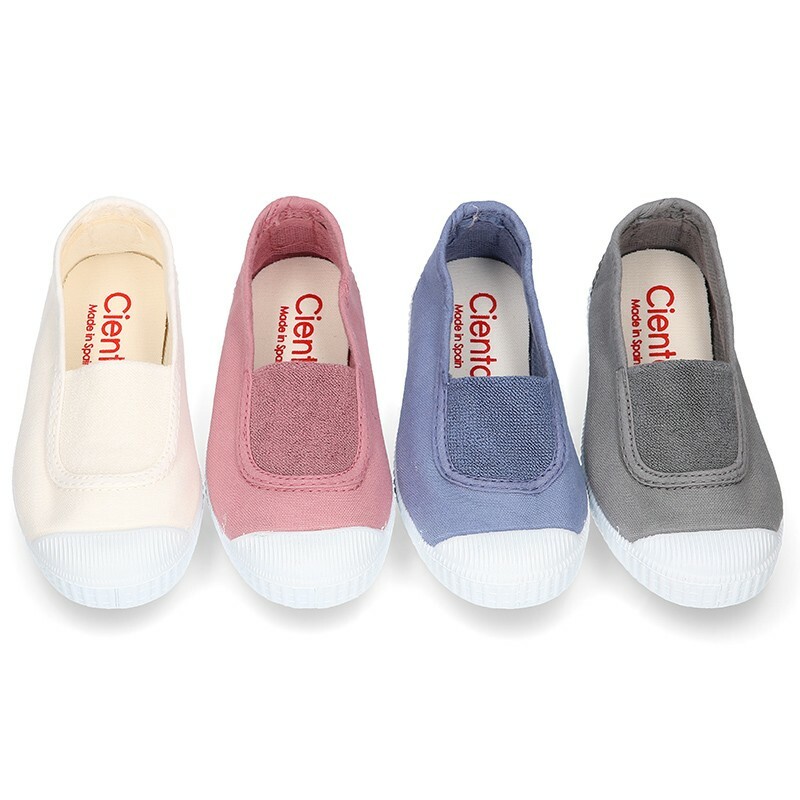 Cotton canvas Bamba type shoes with elastic band and toe cap. 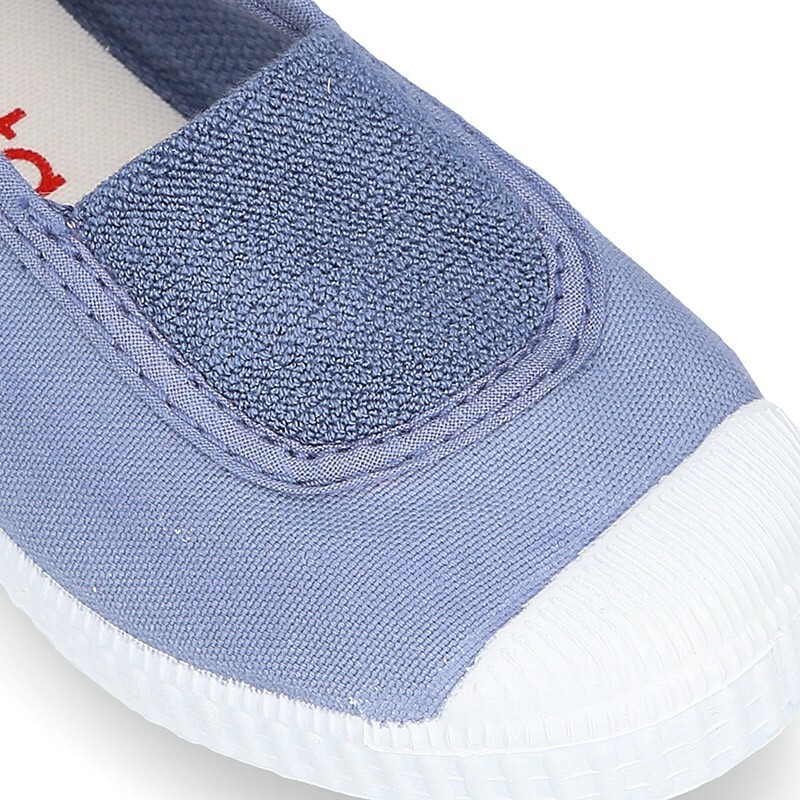 Cotton canvas Bamba type shoes with central elastic band and toe cap for kids. (SIZING SMALL). More info about Cotton canvas Bamba type shoes with elastic band and toe cap. 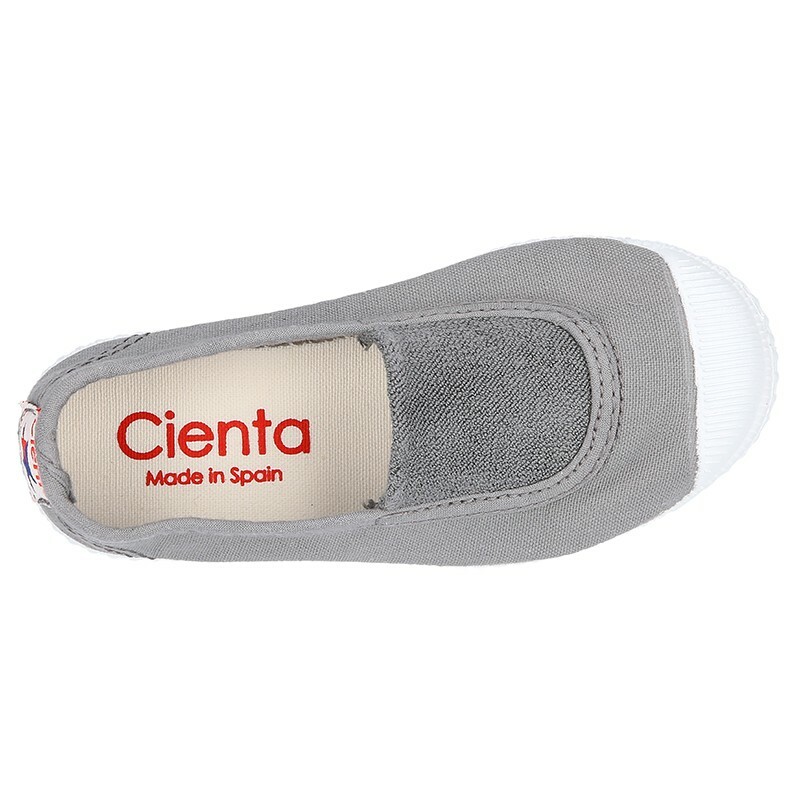 Sneaker or bambas style shoes with central elastic band and toe cap design in cotton canvas for kids and moms too. Made up of 100% cotton canvas, with MADE IN GREEN certifcated. Central elastic band design are very trendy this season in all kids shoes collections. Sneaker shoes with central elastic band are the latest in fashion this spring-summer and mix and match with all their garments this season. Very comfortable and new model. Fully lined in cotton canvas and padded footbed for a better comfort. 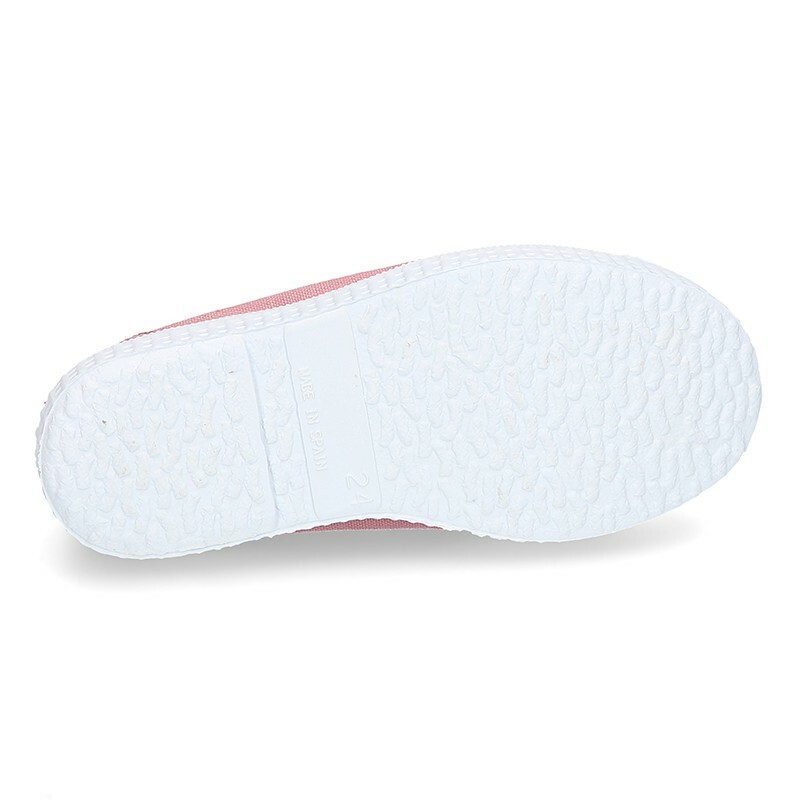 Non slip high quality rubber outsole and totally flexible in order they can walk without any problems. Available up 41 Euro size for moms too. Available in 3 colors. SIZING SMALL, we reccomend to choose a bigger size to regular one. 100% Washable, they must shrink. Data sheet about Cotton canvas Bamba type shoes with elastic band and toe cap.